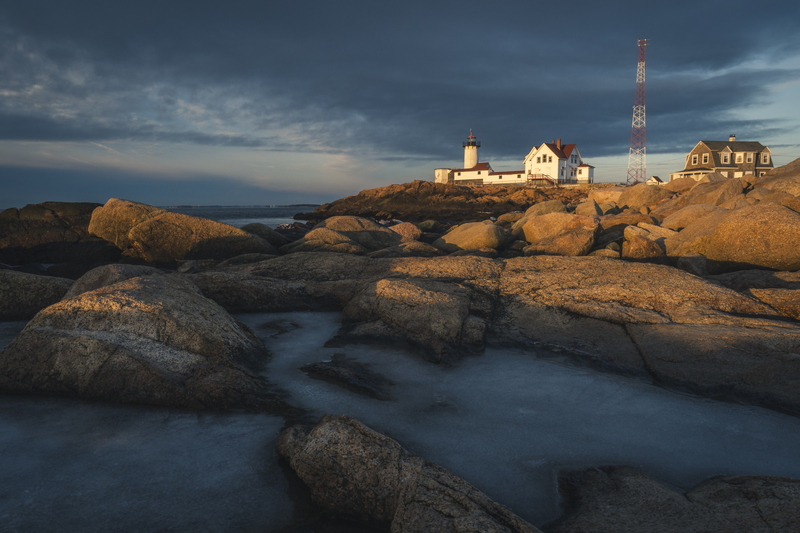 I went to Eastern Point Light in Gloucester, MA this morning to photograph sunrise with my friend, Steven Perlmutter. All indications on the 45 minute drive were promising. There appeared to be sufficient cloud cover and the Sky Fire app told us there was a very good chance we would be welcomed with a colorful sky. But it was a bust. A low, thick cloud cover on the eastern horizon prevented the sun from lighting up the sky. But the morning wasn’t a complete loss. Once the sun cleared that low layer of clouds we were treated to a beautiful golden morning glow.